Recent surveys show video platforms are the next big focus for marketers in terms of content distribution channels.  Social media marketing can seem a bit like keeping up with the Joneses. 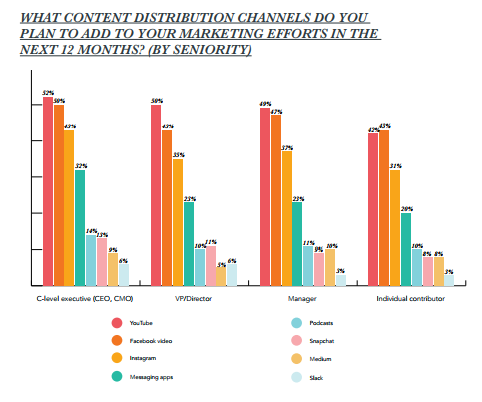 Which content distribution channels are your competitors using? Where are they getting the most engagement? How often are they posting and when? We’re big advocates of social benchmarking against your competitors. But, just as much, we are always thinking ahead, trying to figure out where the industry is going next. It’s important to get ahead of the trends so that you can be right there leading the pack. The State of Inbound has been tracking global marketing and sales trends for the last eight years, with a particular focus on inbound marketing. (Content marketing is a form of inbound marketing.) The 2017 survey included more than 6,300 professionals at from 141 countries, so it offers a very comprehensive view of current trends in content marketing. One part of the survey of particular interest involves which distribution channels marketers are planning to invest in next. It gives us an idea of where companies will be putting their time and money in terms of social media marketing. Let’s take a look at the results. 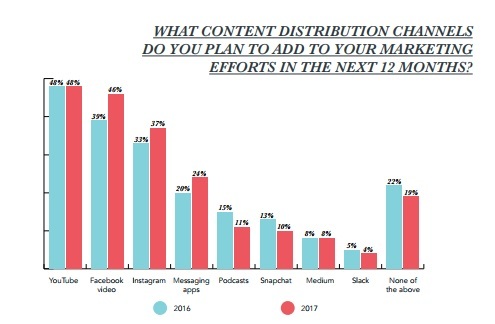 The more than 6,300 marketing professionals surveyed answered the following question: “What content distribution channels do you plan to add to your marketing efforts in the next 12 months?” The chart below shows responses from 2016 and 2017 surveys for comparison. Marketers will maintain or increase their investment on YouTube and Facebook video — focus on the latter jumping a significant 7% over 2016. 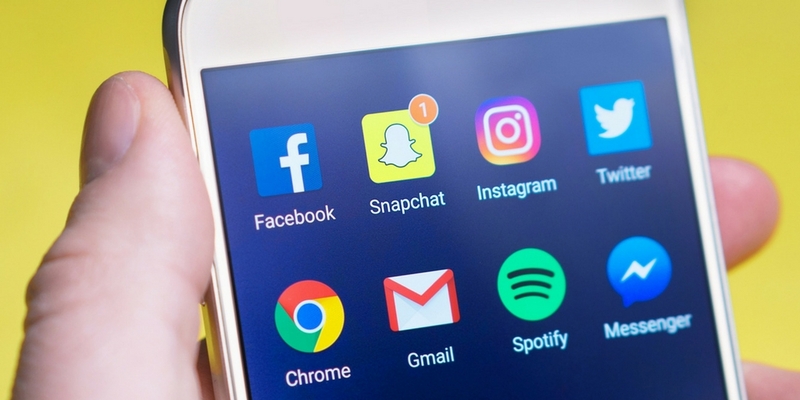 Interest in Instagram and messaging apps has also grown significantly over the last year, while marketers’ investment in podcasts, Snapchat, and Slack has decreased. I also want to note quickly that investment in Medium has remained steady at 8%. I plan to write more about Medium as an opportunity for supply chain and logistics businesses in the near future, so stay tuned! Another noteworthy aspect of this survey question is how respondents at various levels of the corporate ladder answered. Do the people who set company goals have the same priorities as those tasked with social media management and content distribution on a daily basis? Of course not! Take a look. Broken down by respondents’ roles, the data shows a division in the priorities of C-level executives versus individual contributors. Executives show a higher preference to expand to new channels of distribution such as messaging apps. The individual contributors responsible for the day-to-day oversight, however, offer a more conservative approach, favoring more tried-and-true distribution channels. It is also interesting to note that individual contributors consider Facebook video a top priority slightly over YouTube, while executives, directors, and managers uniformly prefer YouTube. Across the board, companies are turning their content distribution focus to video platforms, and the supply chain should be, too. If you haven’t heard me say it before, I’ll tell you now: Yes, video can work for the supply chain. Why? In a nutshell, YouTube reaches more adults ages 18-34 in the U.S. than any cable network. Users browse the platform for entertainment purposes, but also for tips, information, and ideas. And anywhere people are seeking solutions, businesses should be providing answers. Live video, too, is a trend that is not going away anytime soon. According to the 2017 Social Media Marketing Industry Report, 61% of marketers plan on using live video services such as Facebook Live and Periscope, and 69% want to learn more about live video. Live video helps businesses promote transparency, good communication, and relatability. 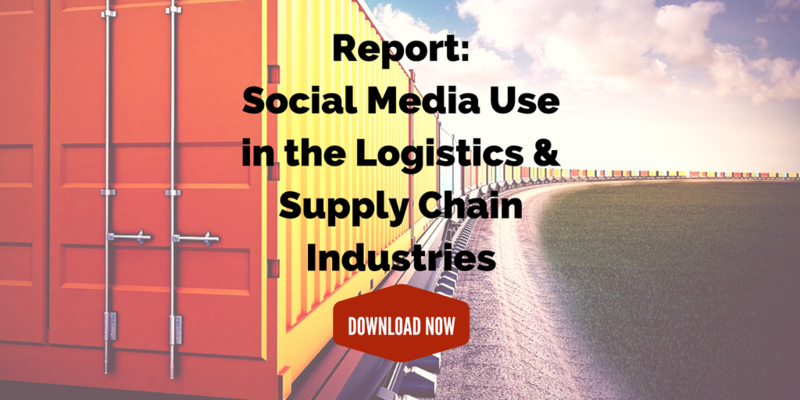 It’s something that will do your business a world of good in the supply chain and logistics industries.